State of the Stash | Knit Like You Mean It. First on the Block: Cross Lanes Farm Wensleydale Aran. Comment on the blog for a chance to win! My awesome knitting student Consuela has been e-mailing me over the past few weeks about her progress on the homework from our sock class at fibre space. Last week, she wrote me what she called the “State of the Sock.” I laughed out loud at that…and then realized that I have something that needs a grand overview (and revision): my stash. The state of our stash, ladies and gentlemen, knitters everywhere, is strong. The sock yarn is varied and plentiful, while the heavier-weight yarns, for the most part, are in enough quantity to make larger garments; and the plastic containers continue to keep all of our wool safe and clean. More importantly, the stash is a deep stash. Whenever the next snowpocalypse comes and we finish all our outstanding projects, we will be able to cast on in whatever yarn our little heart desires — and we’ll probably have a choice of colors, too. One might wonder, however: can a stash be too strong? Is there a point at which we as knitters must ask ourselves: when is enough sufficient? And where are we going to put all of this yarn? I know these are difficult questions. I know I’m going to be the bad guy here. But it must be said: is the pursuit of stash variety and yarn security enough? Have we not lost sight of our true love, knitting, in the name of a cruel mistress: yarn acquisition? Yes, yarn is a part of knitting. But so are needles, and so are patterns, and…we can’t keep throwing away clothing in order to have room for more yarn. If you love knitting, if you seek prosperous knitting, if you seek serenity in your home: Ms. Lawton-Trask, tear down this stash! Yes, I have decided to liquidate part of my stash. Yes, it is difficult to imagine. But it’s also difficult to imagine living long enough to make something out of all the yarn in my stash. So I’ll be culling part of the stash, and earmarking some of it to be (wait for it) made into knitwear. Yes, it’s the end of an era. But no, you shouldn’t be preparing to picket my house in protest. 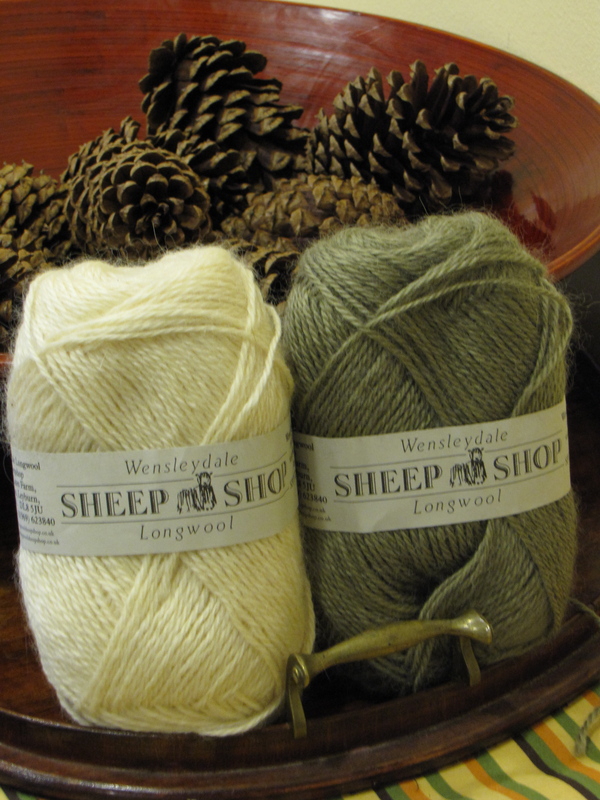 Instead, post a comment on the blog between now and next Friday for a chance to win the lovely Wensleydale Aran from Cross Lanes Farm (rav link) pictured above. Purchased at the glorious I Knit London, this yarn has been stored in an airtight plastic container in a non-smoking, one-cat household. I bought this during my first UK summer (2009), and it’s beautifully soft but strong. I’ll pick a winner randomly from all comments on any post on this blog that are made between today (Oct. 29) and next Friday (Nov. 5). What have you got to lose? Only a little more space in your home. Oy! I don’t know what I’d do with your cast off yarn but me thinks I’ve got to have it! 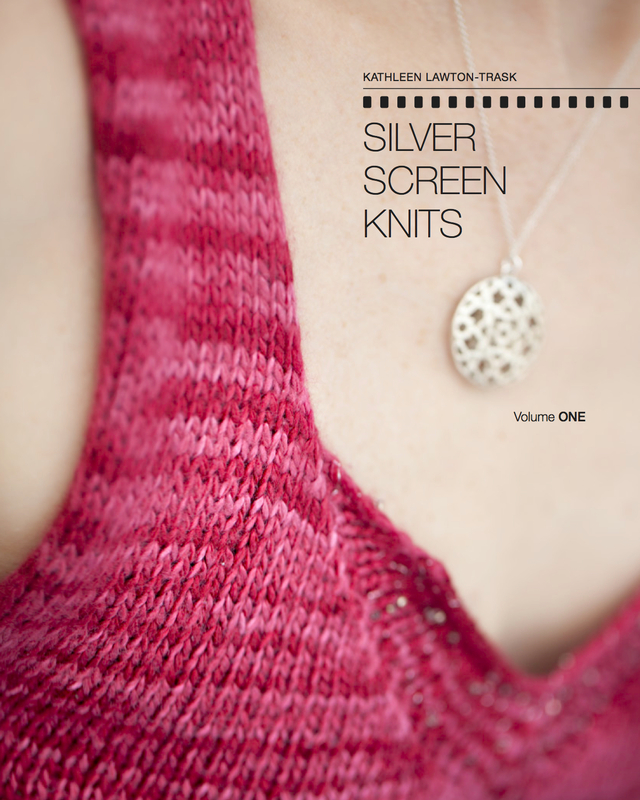 I just bought the new edition of Alice Starmore’s Aran knits. There are some great hat designs that would look lovely in this yarn. Ohhhh!!! Pick me, pick me!! I’m just about to finish a scarf for a gift and now that it’s finally cold in Texas, I am ready to make more scarves and mittens for myself. What a great idea! Although, allow me to recuse myself from this lottery on account of heritage and my own personal hoard. Cleaning my basement last week, I came upon an enormous plastic container tucked in a back corner. In it was yarn I hadn’t lain eyes on since before I had kids. FYI, just finished up a sock class, myself. The class is finished, the socks are not. They should factor in the size of one’s foot in determining the length of the class. Size 10–that’s a six-weeker for sure. That yarn would make a great gift for my favorite daughter-in-law! I admire you for liquidating. It’s tough to do, but the results are worth it. I have only 4 balls of yarn in my stash right now – a record low. Feels wonderful. Oh, my! Anglophile needs yarn fix…Stat! Your beautiful yarn is calling out to me. The cream is saying “‘Ello, Guv, give a bloke a bit of ‘elp ‘ere – got a pinecone poking me bum!” The gray/green(?) is saying “I say old bean, it really is rawther a sticky wicket, eh what. ” I’d sure like to help them out! Ooohhhhhh, PRETTY YARN. Just my colors, and I yearn to knit after sort of a strange hiatus. Long story, but:PICK MEEEEE! Dear Kathleen, Consuela here updating the State of the Sock: I am sockless. So not exactly an “awesome” knitting student after all, unless you mean the more traditional meaning of the word as “inspiring great apprehension or fear…” Ah, but hope springs eternal! The sock, it will be conquered. Of this I feel confident. I’m thinking December is a good time to pick up those dpns again. Your lovely stash give-away would be much appreciated, but it should go to a deserving person, who will love it and knit it into something truly inspiring. Perhaps a beret with a lovely drape, looking warm and chic at the same time? Replying officially now–I would be honored to receive such a beauteous skein and would crank out some mighty fine needles to transform it into a scarf to make even Gromit proud! (Second attempt) I vow that if I am lucky enough to be the random winner, I will get some very fine needles to create a very fine (slightly cabled) scarf that would make my favorite knitting doggy, Gromit, oh so proud. It’s tough to clear out the stash, but I should at least organize mine. I know I have yarn that I don’t think anyone I know would wear, but maybe I’ll make some fun dress-up clothes for the kids I know. Your yarn, on the other hand, is gorgeous.